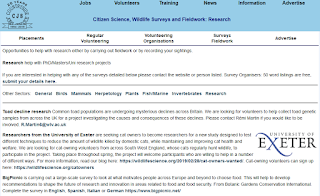 If you need people to complete surveys, send in samples or sightings then CJS can help you connect with the countryside and wildlife sectors we reach everyone from professionals to people with an interest in nature. Go on - how much does it cost? Nothing, zip, zilch, nada, not a penny. It's all free. 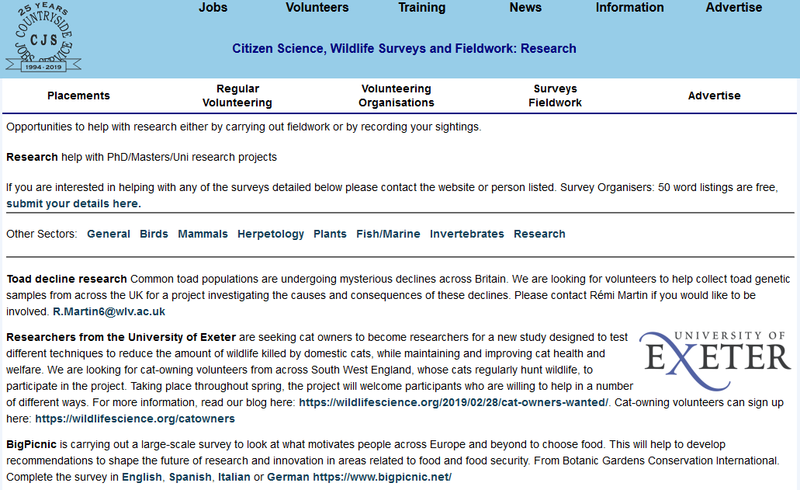 If you need more than a few sightings and are able to support a volunteer (or have funding for some paid assistance) then you can advertise that too. Voluntary roles appear here and paid posts will be in CJS Weekly - all free, follow the links online or contact us for more information.